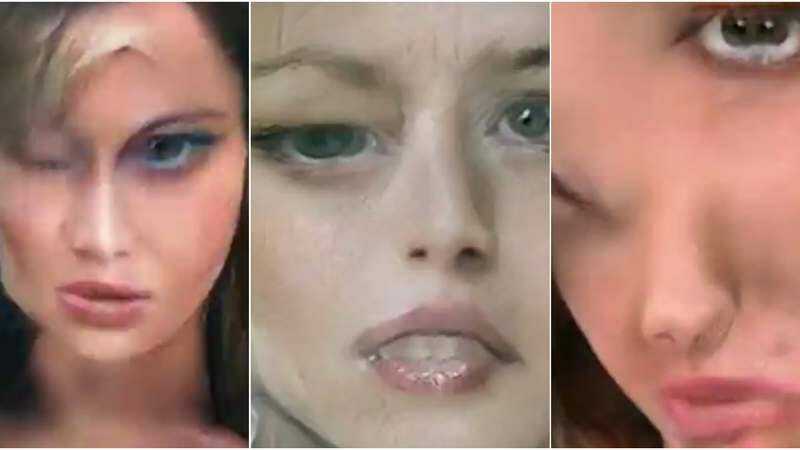 Today, in “neural networks keep trying to make things that seem human but instead exist in the deepest, most gaseous bowels of the uncanny valley,” comes this video of a face constantly trying to generate new faces from previous faces and thus creating a permanently blooming monstrosity, growing toward you as its eyes shift all around its head and its smile gradually melts into different positions. It continues to ooze at you for two goddamn minutes. Please, enjoy. Note that there is audio for the video, which you should definitely listen to. Creator Mario Klingemann calls it “one of the creepiest clips that I have made so far,” which is really saying something: The creative coder, currently serving as an artist in residence at Google, has a host of experiments that look like early David Lynch films. Imagine a computer-generated kicker joke here that seems vaguely sentient but still horribly distant from your conception of humanity.